2148 sq. 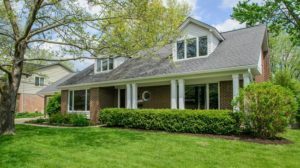 ft., +700 in finished lower level, 4 bedrooms and 2.1 baths. Kitchen is remodeled with cherry cabinets, granite counters and stainless appliances. Spacious master bedroom suite offers a private, updated bathroom and a walk-in closet. Within walking distance of Lawton Elementary and Lawton Park. To inquire about 2059 Delaware Drive or request a private showing, please contact the Ann Arbor Real Estate specialists with The Bouma Group today at 734-761-3060 or email info@bouma.com. View photos and information for Lansdowne subdivision here!